This fabulous reproduction clock has a steel case and gass lens. Features an inner minute track, high contrast numbers and distinctive orange-red hands. 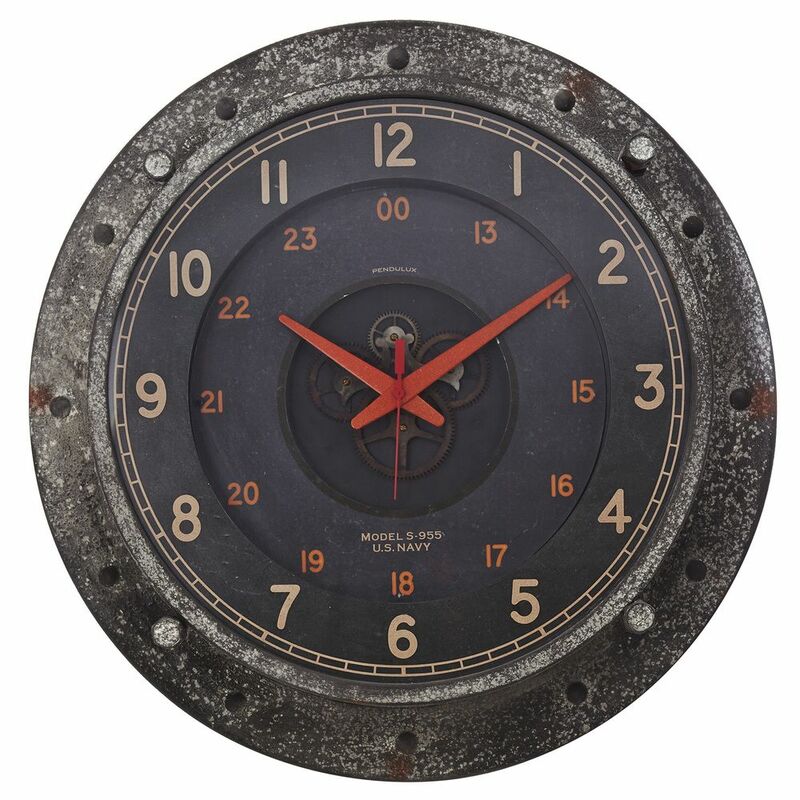 The Control Room clock embodiess the accuracy and precision of the atomic age with its rustic gray finish and dark bi level descending dial that dispays military time as well as add depth and complexity to your wall. Quiet Quartz Movement, Batteries required.